Dublin - Republic of Ireland ignored a bizarre tennis ball protest from angry fans as Conor Hourihane's first international goal sealed a 1-0 win over Georgia in Tuesday's Euro 2020 qualifier. 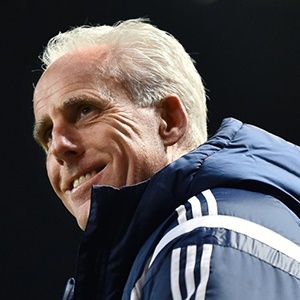 Hourihane's excellent first-half free-kick settled the opening home game of Mick McCarthy's second spell as Ireland manager. But the clash in Dublin was overshadowed by irate Ireland supporters, who threw tennis balls on to the Lansdowne Road pitch in the first half in protest at controversial Football Association of Ireland chief executive John Delaney. Delaney, due to take up the newly-created role of FAI executive vice-president, has come under pressure after it was revealed he provided a €100 000 cheque in April 2017 to the FAI, which did not appear in its audited accounts. Delaney said he had loaned his employers the money "to aid a very short-term cash flow issue". The protest was expected in advance and, speaking on Monday, McCarthy had quipped: "I can't do anything about it. I'm not going to take a tennis racquet with me." Fortunately for McCarthy, the volley of tennis balls ended up more of a distraction for Georgia, who fell behind in the first action after a three-minute delay to clear the pitch. Hourihane's goal was enough to make it two wins from two Group D matches as McCarthy bids to take Ireland to next year's European Championships. "It didn't affect us. When things like that happen you have to really concentrate," McCarthy said of the protest. "I was conscious we didn't want to take the free-kick and get done on the break. It didn't happen. Nothing was stopping that free-kick." McCarthy, who led Ireland to the 2002 World Cup, admitted he hated every minute of Saturday's 1-0 victory at minnows Gibraltar in his first game. But the former Wolves and Sunderland manager's first home match as Ireland boss in 17 years wasn't much easier. "The lads worked an unbelievable shift and played really good football," McCarthy insisted. "We created opportunities and unfortunately didn't take them, but we didn't let them in so one goal takes it." Hourihane should have put Ireland ahead early on after Jeff Hendrick stole possession near the Georgia penalty area. Aston Villa midfielder Hourihane was clean through on goal and also had Robbie Brady free to his right, but he squandered the chance, shooting too close to Georgia keeper Giorgi Loria. When Brady won a free-kick in the 33rd minute, the tennis balls rained down from the stands. There was a delay while Ireland defender Richard Keogh joined stewards clearing the make-shift missiles from the pitch. Once play resumed, Hourihane got the Ireland fans' focus back on the match as he curled his 20-yard free-kick around the Georgia wall and past the slow-to-react Loria in the 36th minute. But Ireland's first goal in four home matches should have been followed by a Georgia equaliser in first half stoppage-time. Valeriane Gvilia slammed his shot goalwards from close-range, but Darren Randolph rescued Ireland with a fine save. Jeff Hendrick, who scored the winner against Gibraltar, thought he'd netted again when he slotted home from two yards out, only to see an offside flag rule out his second half effort. Ireland's failure to finish off Georgia nearly came back to haunt them in the 85th minute when Jaba Kankava's long-range strike grazed the woodwork.